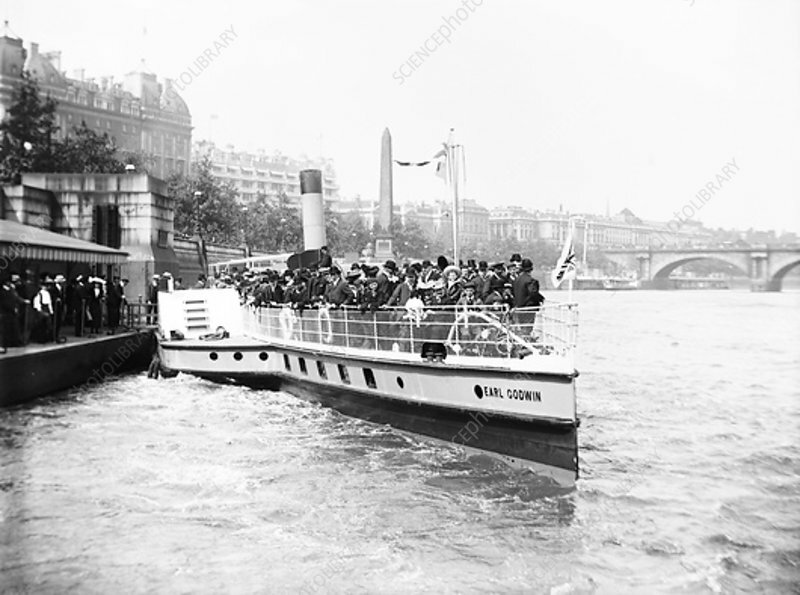 Passengers boarding the steamer 'Earl Godwin', London, c1905. The steamer is next to the Victoria Embankment. Cleopatra's Needle and Waterloo Bridge can be seen in the background.